I would ‘LOVE’ to know what you think of their outcome, and their assumptions as to what lead them to these choices coming out in the order they are. Whilst I may not originally agree with their choices I am thrilled with their top choice. Other seasons I feel were wrongly ranked, and as a fun summer topic it would be interesting for us to list our ranked seasons in order of how we see and love them, so FIRE AWAY!!! 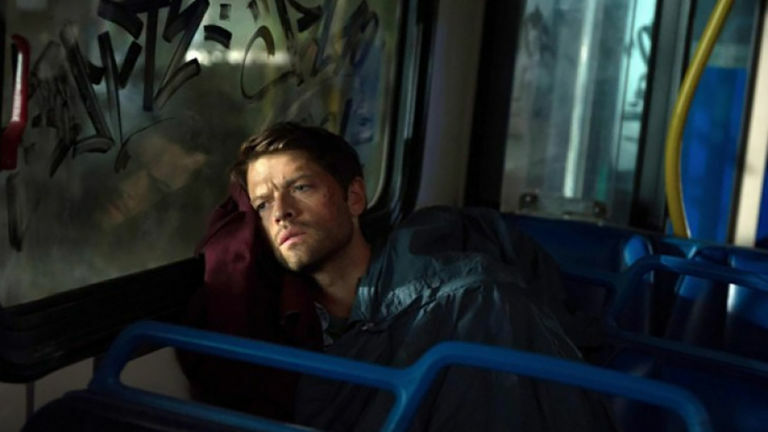 Not really anybody’s fault that season one ranks so low on the list – it’s almost to be expected as Supernatural was really finding its feet. It’s not bad by any means on the whole, but a lot of it is quite bland and generic and lacks the charm and smart storytelling that the show would go onto have. Be it the ‘Bloody Mary’ episode, ‘Hook Man’ or ‘Faith’, so many episodes were based on established urban legends that the show struggled to forge an identity of its own. Its own mythology was also slow at gaining momentum to begin with. The mystery of Mary’s (and then Sam’s girlfriend Jess’s) fiery demise wasn’t given as much attention as it deserved and it was only really towards the end of the season that the Yellow-Eyed Demon (the original Supernatural big bad) really came into play. Also, this season gave us both “Bugs” and “Route 666”, two episodes that even the most devout Supernatural fan would have trouble defending. It’s hard to really pinpoint what went wrong with season nine. It came after one of the best finales the show has ever done and set up a whole new status quo with the Angels, who at the hands of Metatron, had all fallen to Earth and been cut off from Heaven. The problem here was that the angels themselves just weren’t all that interesting. To make matters worse, more story potential was wasted with a recently human Castiel. We got a few episodes of him adjusting to human life, but it wasn’t long before he stole some grace and was back to almost being the same powered character that he was before. As for the Winchesters, this wasn’t a great season for them either. Sam and Dean lying to each other had already become grating, but right off the bat here we had Dean allow angel Gadreel to inhabit Sam’s body and heal him after he was badly wounded at the end of the previous season. Sam was unaware of course and when Gadreel turned out to be not such a nice angel and killed loyal friend Kevin, he and Dean came to blows. Except this wasn’t a dramatic falling out. 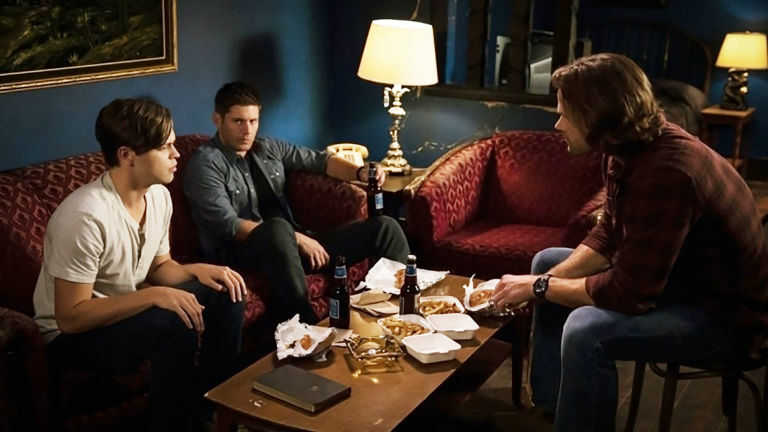 It was over half a season of Sam sulking and he and Dean struggling to get along. If there’s one word that sums up season twelve, it’s ‘bland’. This isn’t a bad season as such, it’s just a boring one and the problem lies with the two main storylines that ran through it. The first of which involved Lucifer, a character who had been around on and off since season five and was almost always entertaining. Here though, he lost a lot of his charm. His body-swapping antics early on made viewers miss Mark Pellegrino in the role (he would return part way through) as it was hard to connect with the character when he was played by someone new. The other season twelve arc was the British Men of Letters. Essentially, these new faces were a second-rate Watchers Council from Buffy the Vampire Slayer, without any of the intrigue that made them memorable. Nothing about them was convincing or interesting this year. Ketch would become far better when removed from them the following season, but here he just blended in with the rest and failed to stand out. Even Mary suffered as a result of being so closely linked to them for most of the year. Season twelve did have some bright spots. Even though she was used poorly, it was great having Mary Winchester back and seeing Sam and Dean react to having her around. But on the whole, this was a forgettable year that was a real comedown from the superb run that came before it. A somewhat underappreciated season, this. The soulless Sam plot (his soul was trapped in the cage with Lucifer, which was unfortunate), was very much a love it or hate it deal. It was interesting to watch the normally loveable Sam interact with people without his soul. 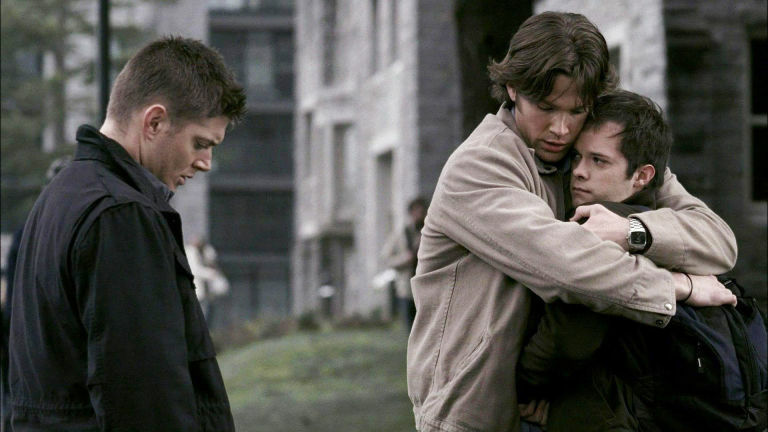 He became cold, emotionless and as a result, we got to see a fun new take on the Sam-and-Dean relationship with Dean struggling over how to help his brother. It was a brave direction to take this character in and whilst some of the creative choices didn’t always land (it was never clear what sort of person Sam was without a soul), it was still an interesting choice that gave us a brief new dynamic. Also, it’s worth mentioning that season six gave us the sublime ‘The French Mistake’, an episode that really proved that nothing was off the table when it came to the sort of stories this show could tell. It’s almost unfair to place season three as far down as eighth on the list as it’s really a victim of circumstance. The 2007/8 writers’ strike really had an impact on this season (see, this show really is old) and as a result, we only got 16 episodes as opposed to the standard 22 it was getting at the time. There’s an argument that shorter seasons make for more concise storytelling, but here the writers didn’t know they would be short until late in the game and so didn’t have the opportunity to plan ahead. It’s a shame too as the season-long arc, Dean’s soul being dragged to hell, remains one of the strongest Supernatural has done. The most recent season earns a respectable place on this list and that’s largely down to what feels like a course correction from the dour season that preceded it. It felt like there was a real mission in place this year, an actual threat that could very well be a danger to all life on Earth. The archangel Michael hadn’t really been at the forefront of the show since the fifth season, but this year he (or a version of him) was back and the menace of this character was fully on display. An alternate Earth that had been briefly seen at the conclusion of season twelve was the crux here and this was a whole new notion for Supernatural that proved it could keep reinventing the wheel. The season lost a lot of favour early on by bringing Dean’s time as a demon to an abrupt end. It was fun while it lasted, but many were hoping for more than three episodes with this new version of a character who hadn’t seen many drastic changes over the years. Thankfully, whilst demon Dean may have been over, the story itself wasn’t. The Mark of Cain continued to have an effect on him and it began to change him into something far darker than a regular demon. This Dean faced a real struggle to keep his anger in check and even went as far as butchering a room full of people who, whilst being bad, were still regular folk free from any supernatural interference. Dean’s uphill battle really was at the heart of this season and it was a driving force that kept pushing the momentum forward right through to the season finale. Oh and the 200th episode, depicting a high school musical based on Sam and Dean’s adventures, was a thing of beauty. The eighth season had a big job on its hands bouncing back after season seven and for the most part, it did so admirably. 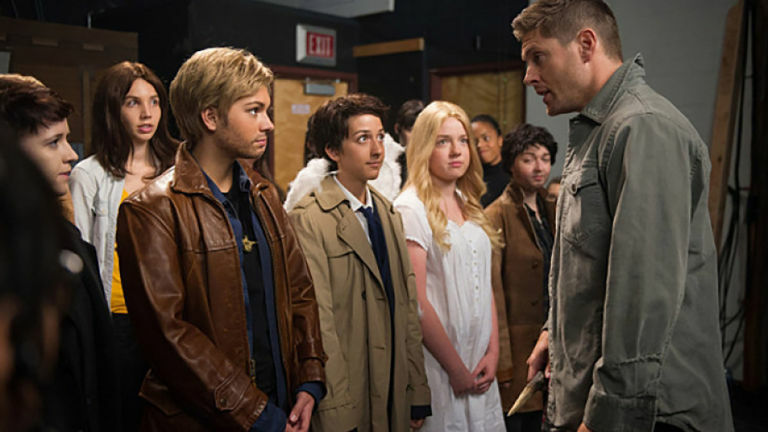 It felt like Supernatural had been given a new lease of life under the command of Jeremy Carver and everything felt fresher as a result. Sam’s in-between season flashbacks weren’t all that exciting, to the point where the show itself made fun of it numerous times, but this was a blip on an otherwise rejuvenated road. 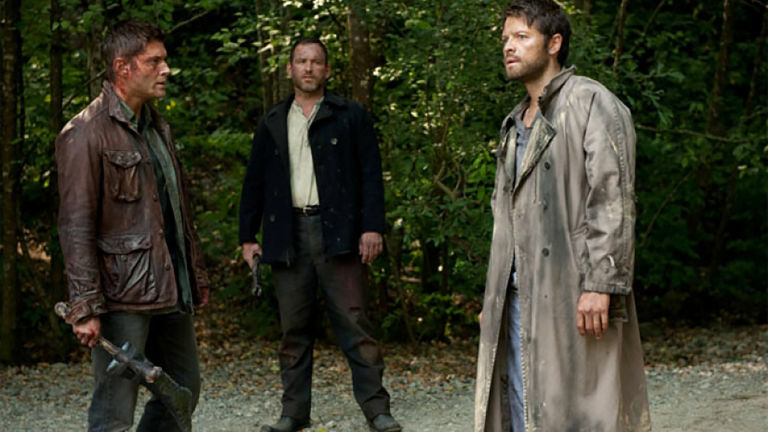 Once Dean returned from Purgatory (with new vampire friend Benny in tow), the season mission quickly became apparent: closing the gates of Hell for good. With the help of prophet Kevin, a battle ensued between good and evil to see who could decipher the angel tablets first. Opposing the Winchesters was Crowley, who turned out to be the third in a series of trials that could finally close the gate. It was pretty clear that the gate wouldn’t close as there was no end in sight for the show, but that didn’t make it any less interesting and it didn’t make the resolution any less surprising. The season premiere, ‘In My Time of Dying’ was superb, a real masterclass in storytelling and a massive game changer for the fabric of the show. 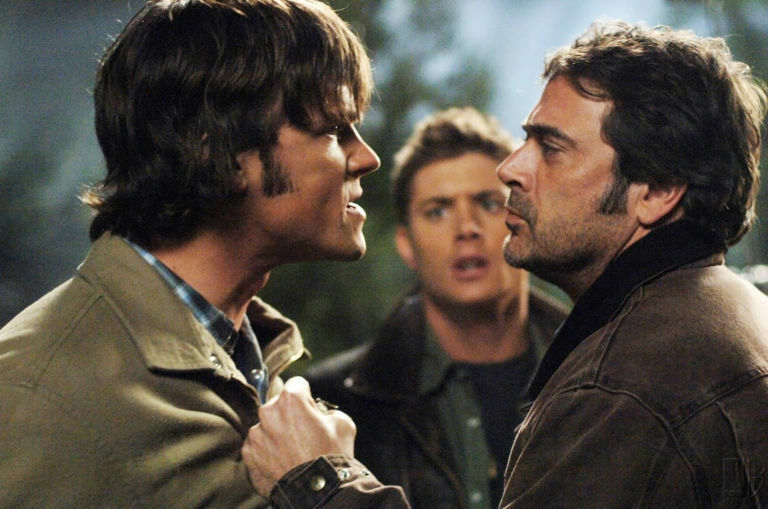 John Winchester, the father who Sam and Dean had been searching for thus far, was killed off and the yellow-eyed demon Azazel finally came into play in a big way after really being on the sidelines for most of season 1. Focusing on this really gave season two a push and allowed the show to focus on Sam and the part that he would play in the demon’s plans. It turned out there were others like him to meet and they too added to a mystery that wouldn’t be resolved until the excellent two-part finale, ‘All Hell Breaks Loose’. Season two also saw Supernatural begin to craft an identity of its own. 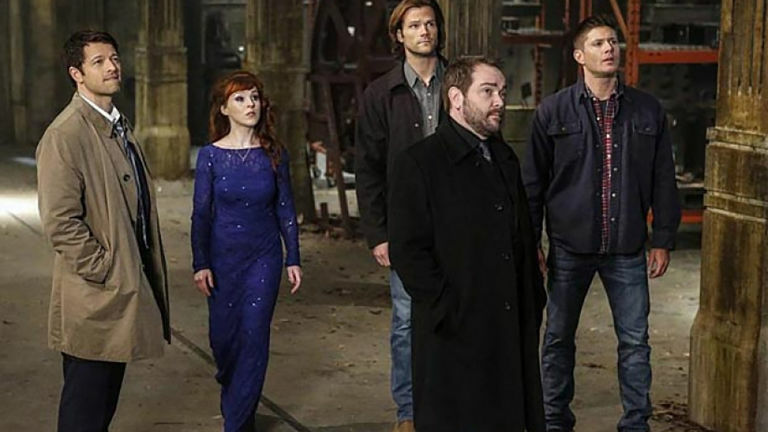 Whether it was the introduction of Crossroad Demons or the virus Croatoan, several elements that would go on to become synonymous with the show came into play this year. The quality of the standalone episodes improved drastically too. The previous year had been mainly rip-offs of other stories done better elsewhere, but now Supernatural was confident enough to put its own spin on things and come up with original ideas that were unique and interesting in episodes such as ‘Nightshifter’, ‘Tall Tales’ and ‘What Is and What Should Never Be’. On the surface, The Darkness was a bit of a bland villain. Yet when it became clear that this force was not only a being called Amara, but was also God’s sister, things really got interesting. 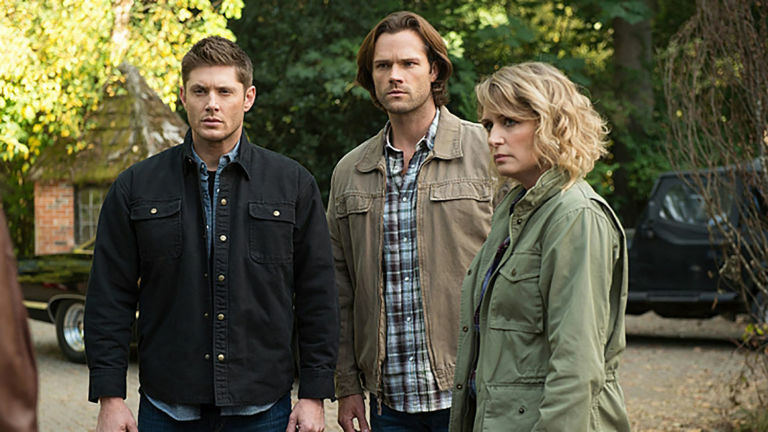 This season focused on what Supernatural was always about: family. We not only had Amara, but God finally came into play (Chuck!). Lucifer was also back and as wonderful as ever, and we got to watch these three wrestle with their rather awkward family dynamic. Here we got to see the Winchesters try to avert disaster while at the same time helping these beings out as they dealt with conflicts older than time itself. A complaint levelled against the finale ‘Alpha and Omega’ is that it wasn’t grand enough, that it went out with a whimper instead of the bang it had looked to be building up to. For us though, it was the perfect end to this season. It wasn’t about action, it was about family. The end for God and Amara was perfect, and to top it off and to add to that same theme, we got Mary Winchester back. The season that normally ranks No.1 on fan lists, this only misses out on the top spot here for one reason: Adam. Adam is the third Winchester brother (well, half-brother) who Sam and Dean never knew existed, and even though his first appearance was in a season four episode called ‘Jump the Shark’, it’s his use in this season that’s the problem: he was seemingly a plot device created solely to get the writers out of a tricky situation. Season five was originally going to be the end of Supernatural, and it does feel like it’s building towards a conclusion five years in the making. 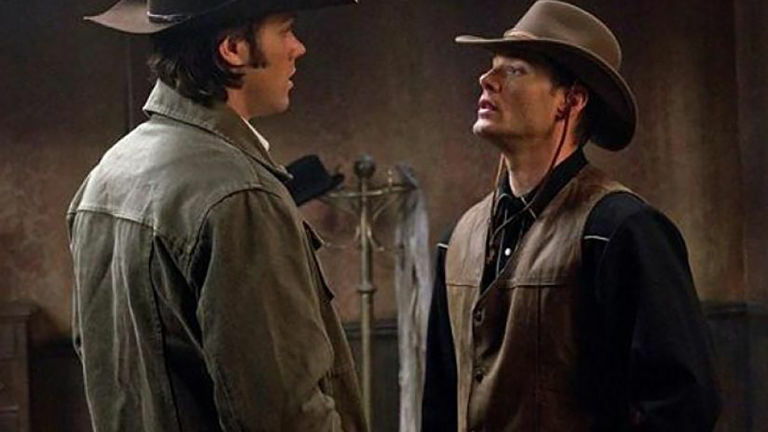 The Winchester brothers’ destiny is revealed: they are meant to be the vessels for Lucifer and Michael, two archangel brothers who will wage a war on Earth so big most of humanity won’t survive. To make it worse, the angels are in on it and have every intention of allowing it to happen. This was bold storytelling and a fine example of how much this show had improved over the years. There are almost too many highlights to mention. ‘Changing Channels’ remains one of the best episodes all these years later; a fine example of how deft this show is at comedy. ‘Dark Side of the Moon’ is exquisite and hauntingly beautiful. ‘The End’ is a rollercoaster ride into the future that blends drama and humour perfectly (why haven’t we seen more of hippy Castiel?). We could keep listing things about this season that work and it could probably fill up a whole post all to itself. Season five deserves almost all the praise that is heaped upon it. There is, however, one season that just about tops it…. Peak Supernatural. The season that shows exactly what this show is capable of when it’s firing on all cylinders. Not every episode worked (‘Criss Angel Is a Douche Bag’), but the hits far outweigh any minor misses. ‘Lazarus Rising’ not only brought Dean back from the dead (back when coming back from the dead was a novelty), but it also changed the fabric of the whole show by bringing Heaven and angels into the mix. This was a huge deal at the time. 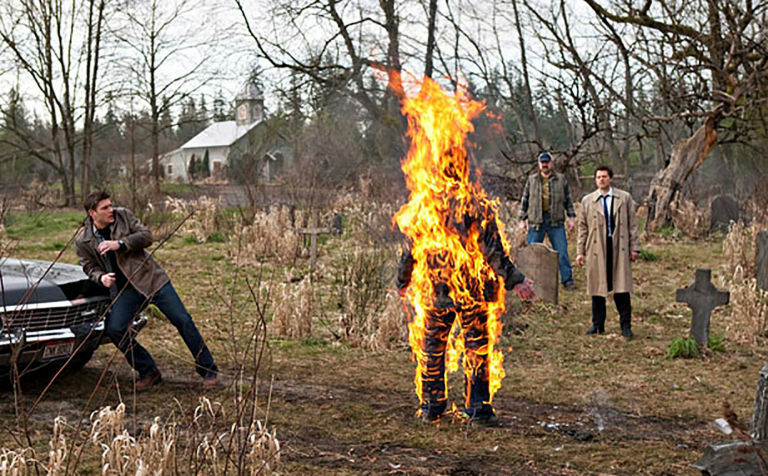 For three seasons, Supernatural was all about demons and monsters, but now all bets were off and the show would change direction and never look back. It’s actually hard now to imagine a time when angels weren’t a factor. This was also the first time we saw Sam and Dean truly come to blows and it was so impressive and heartwrenching to watch that all subsequent falling outs would pale by comparison. Sam, now hooked on demon blood thanks to the duplicitous Ruby, found himself on a dark path that would not only cause his relationship with his brother to deteriorate, but would also unleash the Devil himself onto the world. Supernatural made the leap from good to fantastic this year and it kept that quality up all season long. As you say, the ranking is not one I agree with totally but I do understand the reason for each choice as it stands. I always thought season 6 was weak as it felt as if it was rambling to find the show’s voice-almost like a new show in season one. This is understandable considering that Kripke left the show and indeed it was a “new show” with same characters.I have re-watched season 6( and the other seasons of course) and gained a new appreciation for the season, especially Jared’s acting as souless Sam. The expression on his face as Sam when Dean accepts his return and the hug, knowing now that he was souless, makes the season not so wobbly and the return of his soul- just acting chops alone get me. Just not ranking the Mother of all bad things, Eve, as a top villain, but even that has some great moments in the diner. for the acting and of course it leads beautifully into s 7. Then season 7 with the Leviathans fell flat for me but Charlie was a welcome addition. And of course Bobby dies but that episode “At Death’s Door” is brilliant as far as the back story devise. Season 8 was off at the beginning with the Amanda/Sam liaison and Purgatory Dean was far too short. If I tried to re-rank the seasons, not sure where I would place season 6. Dean’s duality as a hunter v. normal life with Lisa is an eye opener into Dean’s inner being-which comes out in later seasons, especially s 12 with Mary and s13 with Jack. Really not a fan of Bella story line in season 3 but the writers’ strike and where that might have gone with Dean are influences. Sam’s struggle with knowing he is losing Dean is worthy. Each season, even the misguided ones, have outstanding episodes and some truly awful stand alone ones. I can’t believe I am defending season 6 in all honesty. Often Jensen’s acting his highlighted for its emotional display and sensitivity within a solid hero. Jared’s acting should be noted for sometimes its quietness which is not so obvious at times. Looking at the rankings, Jared has given us some layered performances as Sam. I have grown to appreciate even more the talents of j2 as actors. So while the rankings are not perfect, I don’t think I can re assemble the order in satisfactory manner. ← Season 14 possibly may contain 20 episodes to the usual 23.